casting crew: WHAT EVER HAPPENED TO BABY JANE? By now, you film buffs out there have likely already heard the news. 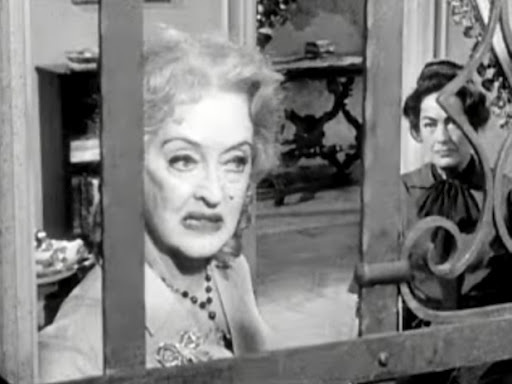 The delectable, devilish classic What Ever Happened to Baby Jane? is getting the remake treatment. And while I’m generally against touching the classics – this one oddly enough being a childhood favorite of mine – I must say: It’s a fun notion to think about which two screen divas could potentially get cast in this. I’m told the director in question is hoping to get “high-pedigree” actresses to fill the shoes of legends Bette Davis and Joan Crawford, and I certainly hope he makes good on it. I also hope that they don’t cast some late-30s, early-40s “hot for now” actresses to take on the parts. But who could take on these distinctive roles – the bitter former child star whose penchant for drinking led to her downfall and the now-wheelchair-bound actress sister who becomes Baby Jane’s object of torture… hopefully the fates will be kind. My brother John was quick to insert his ideal casting choice – with Glenn Close in the Bette Davis role and Meryl Streep in the Joan Crawford role, and I’m inclined to agree with him. Then again, half the fun of the original was that the real-life stars hated each other with a passion – too bad everyone’s so nice in Hollywood these days… (I kid, of course.) I’d like to step out and nominate Close (is there any more Bette Davis-like personality than Close a la 101 Dalmatians and Stepford Wives? ), but I’m thinking the Crawford role could be played nicely by Anne Archer… I mean, how much perfection would it be if that infamous parakeet scene was tweaked to involve a certain pet rabbit? What are your thoughts on the matter?